Size of this preview: 741 × 599 pixels. Other resolutions: 297 × 240 pixels | 1,000 × 809 pixels. 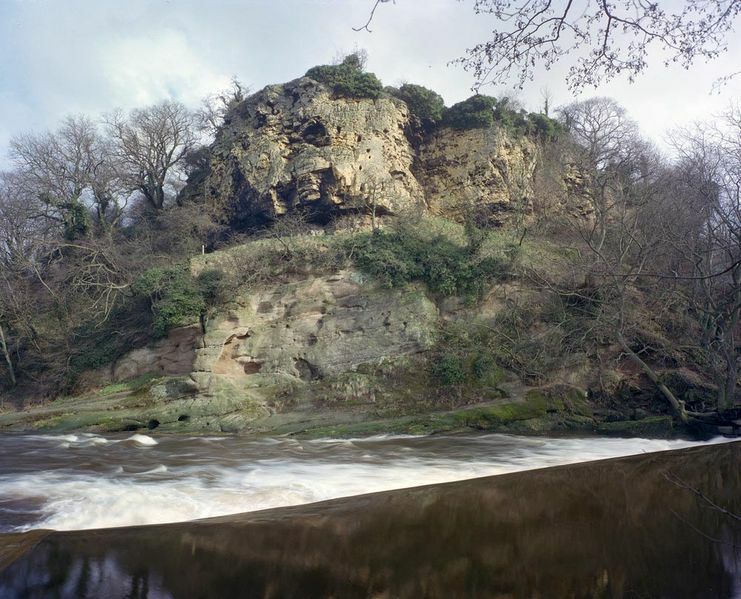 50 m W. of Grimbald Crag, Knaresborough. Looking SE. The Carboniferous/Permian unconformity at Grimbald Crag, Knaresborough. Oolitic limestones of the Lower Magnesian Limestone - Upper Subdivision rest unconformably upon a buried hill of slightly reddened Upper Plompton Grit (Namurian). This page was last modified on 5 June 2014, at 17:15.